We take a look at how some of these devices stack up against each other. The battle for the mid-range Rs. 25,000 market is heating up as the quality increases with manufacturers bringing specs usually reserved for the flagships at affordable prices. Over the recent months, there has been a number of new devices released, so we take a look at how some of these devices stack up against each other. The Vivo V11 has a large 6.41-inch Super AMOLED display with 1080 x 2340 resolution with 19:5.9 aspect ratio and 402 pixels-per-inch. The waterdrop display helps the device achieve an impressive 85.2% screen-to-body ratio inside a footprint measuring 157.9 x 75 x 7.9 mm. The Galaxy A7 (2018) sees a smaller 6.0-inch display with 1080 x 2220 resolution and 18.5:9 aspect ratio with 411 pixels-per-inch. 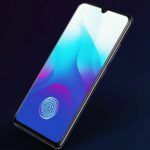 The device has a lower screen-to-body ratio at 74.4% as there’s no notch on the device that measures 159.8 x 76.8 x 7.5 mm. 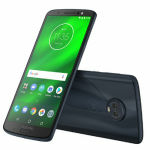 Finally, the Moto G6 has the smallest display of all at 5.9-inches with 18:9 aspect ratio at 1080 x 2160 resolution and 409 pixels-per-inch with a 74.4% screen-to-body ratio measuring 160 x 75.5 x 8 mm. Powering the Vivo V11 is a Qualcomm SDM660 Snapdragon 660 Octa-core (4×2.2 GHz Kryo 260 & 4×1.8 GHz Kryo 260) CPU with an Adreno 512 GPU. There’s 6GB of RAM powering the device with 64GB or 128GB of internal storage. The processor powering the Galaxy A7 (2018) is currently unknown but is likely running Samsung’s own Exynos processor. Depending on the configuration, you’ll either get 4GB or 6GB of RAM with 128GB of internal storage or 4GB of RAM with 64GB of storage. The Moto G6 runs a slightly older Qualcomm SDM630 Snapdragon 630 Octa-core 2.2 GHz Cortex-A53 CPU with Adreno 508 GPU. The device comes with either 4GB or 6GB of storage with 64GB or 128GB of internal storage. The Vivo V11 has Android 8.1 Oreo out of the box, while the Galaxy A7 (2018) somewhat disappointingly comes with Android 8.0 Oreo, but that is the nature of a Samsung device that is usually slow to see software updates. 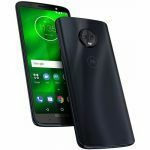 The Moto G6 runs Android 8.0 out of the box but Motorola has committed to the device getting the latest Android 9.0 Pie upgrade. When it comes to the camera, this is where the Galaxy A7 (2018) stands out. 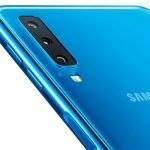 The device features the first triple camera on a Samsung device with a 24-megapixel f/1.7 lens paired with an 8-megapixel f/2.4 ultra-wide lens and 5-megapixel f/2.2 depth-sensor. On the front of the device is a 24-megapixel f/2.0 lens. The Vivo V11 has a 12-megapixel f/1.8 lens paired with a 5-megapixel f/2.4 depth-sensor and a 25-megapixel f/2.0 front-facing camera. Finally, the Moto G6 has a 12-megapixel f/1.7 lens paired with a 5-megapixel f/2.2 depth-sensor and an 8-megapixel f/2.2 front-facing camera. 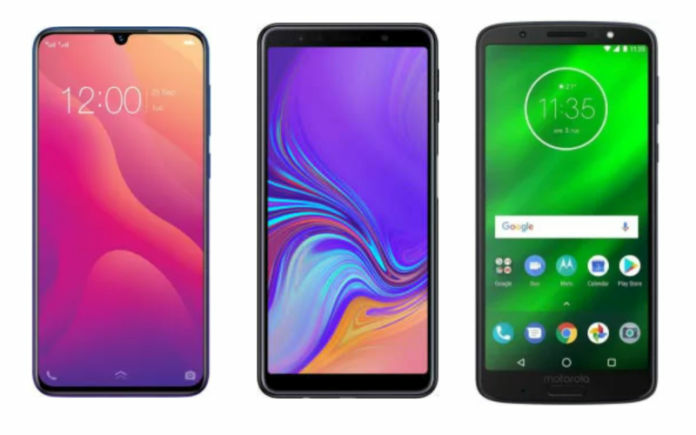 The Vivo V11, Galaxy A7 (2018), and Moto G6 have a 3400mAh battery, 3300mAh battery, and 3200mAh battery, respectively. The difference in capacity is negligible and would be unlikely to really affect general use. The Vivo V11 is available from ₹ 21,265, with the Galaxy A7 (2018) starting at ₹ 23,990, and the Moto G6 costs ₹ 22,499. With such similar pricing, one can afford to discriminate against the specifications and not be influenced by cost. If camera performance is important, then the Galaxy A7 (2018) is the hands-down winner. However, the Vivo V11 offers an excellent design and performance, with a camera that will still yield excellent results.